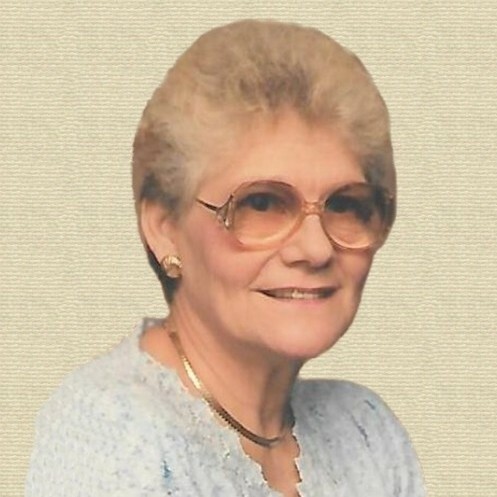 Betty England, 83, of Cynthiana, passed away at her home surrounded by family on January 31, 2018 due to complications of a stroke. Born in Earling, West Virginia on June 22, 1934 to the late Paris Hurley and Eva Davis (Thomas A.). She married Jackie H. England, of Cynthiana, in Logan, West Virginia in 1953. Betty served her community as a CNA for 30 years. She attended Hour of Deliverance Chapel in Cynthiana when she was able. She was full of life and loved the Lord until her last breath. She blessed everyone around her. In addition to her husband, Betty is survived by 4 children: Thomas J. (Martha) England and Connie S. England, both of Cynthiana, Terri L. (David) Crigger, of Earl, North Carolina, and Norma J. (Richard) Phillips, of Cynthiana; a sister, Barbara (Bob) Milligan, of Trevor, Wisconsin; 13 grandchildren, 23 great-grandchildren, one great-great grandchild, many in-laws and several nieces and nephews. Also preceding her in death were 3 brothers, Jack Floyd, Charles & Hank and 3 sisters, Norma, Emma Jean & Sadie. Services will be 1:00 PM Monday, February 5, 2018 at Akers-James Funeral Home in Logan, West Virginia by Bro. Audie Murphy. Burial will follow in Highland Memory Gardens. Visitation will be from 11:00 A.M. Monday until the time of services. Drake-Whaley-McCarty Funeral Home is caring for local arrangements.